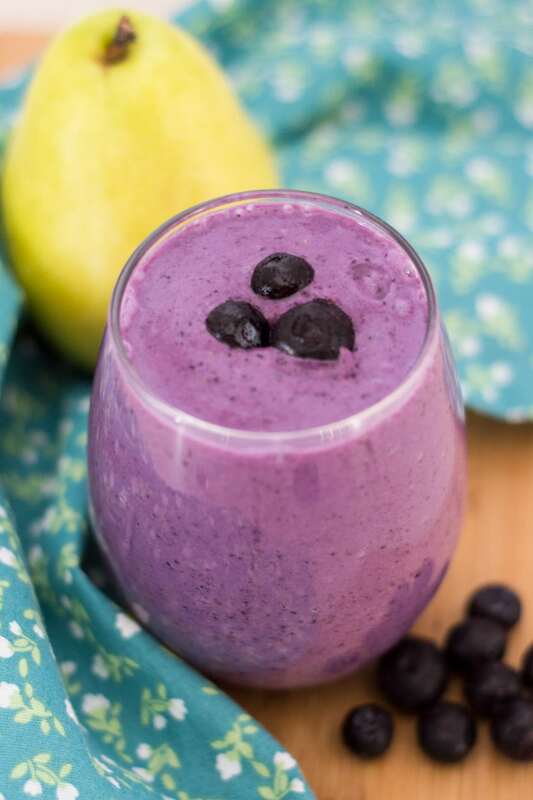 If you like your smoothies on the sweeter side, you’re going to love this Blueberry Pear Smoothie. 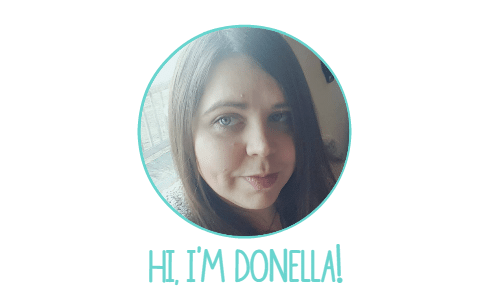 Aren’t blueberry smoothies the best? The flavors of the blueberries and pear blend together seamlessly for a fruity, mellow flavor you’ll want again and again. 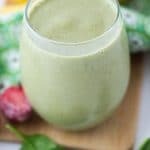 In order for my husband to like a smoothie, it has to be super easy and super sweet. 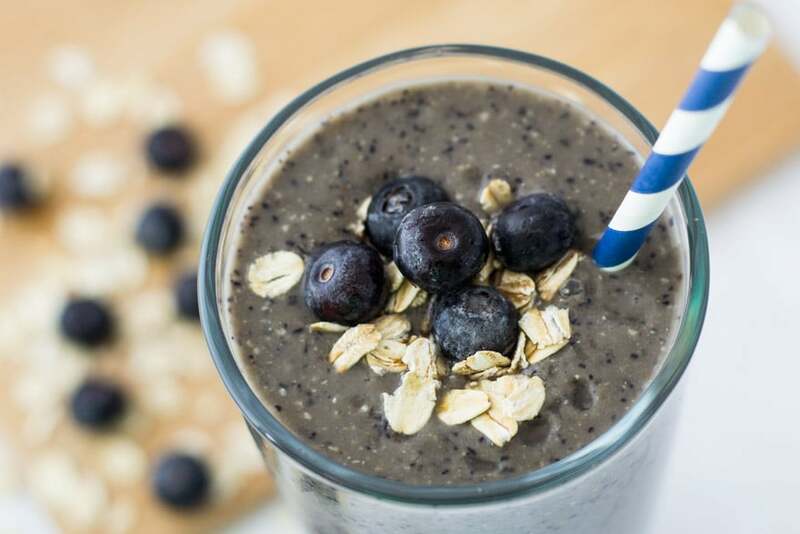 Luckily, this blueberry pear smoothie is both! And it’s made with only four ingredients, so you really can’t get much easier than that. 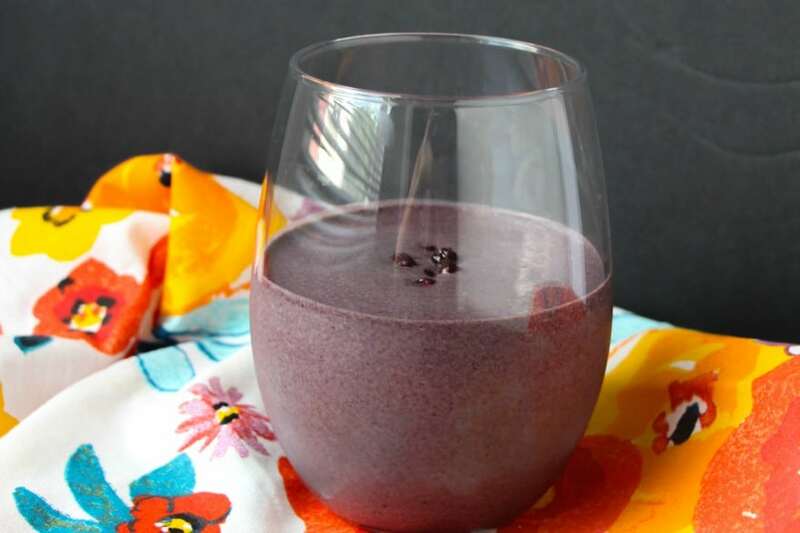 Want to use frozen blueberries? 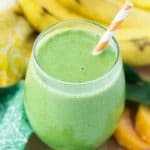 That’s perfect for this smoothie. If you use frozen berries, you can skip the ice altogether, so your smoothie will be a lot more flavorful than one that’s watered down by ice. Any pear will work just fine. You don’t have to chop it small, and contrary to some recipes, you don’t need to peel it, either, unless you’re using one of the varieties with a thicker skin and rougher texture. Otherwise, leave it on and get the extra fiber. About half the total amount of a pear’s fiber is in its skin, and it’s rich in antioxidants and anti-inflammatory phytonutrients… so keep the skin on if possible! Just wash it thoroughly first. 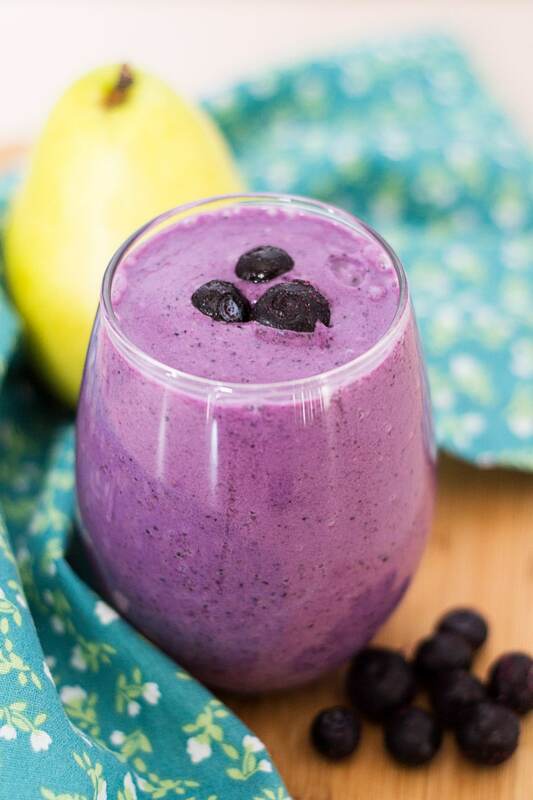 This blueberry pear smoothie is a sweet treat that's super healthy, too! It's bursting with fruity flavor. Add milk and yogurt to blender first, followed by the frozen blueberries and the pear pieces. Blend for 60 seconds or so until smooth and thick. 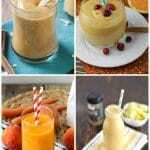 If mixture is too thin, add 1/2 c. - 1 c. ice and blend an additional 60 seconds. 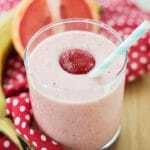 It helps to add the liquid to the blender first when you’re making smoothies out of frozen fruit, because the liquid helps break apart the frozen fruit. I don’t have a high-powered blender (yet), so it needs all the help it can get. 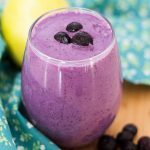 If you liked this blueberry pear recipe, you should check out some of our other blueberry smoothie recipes!